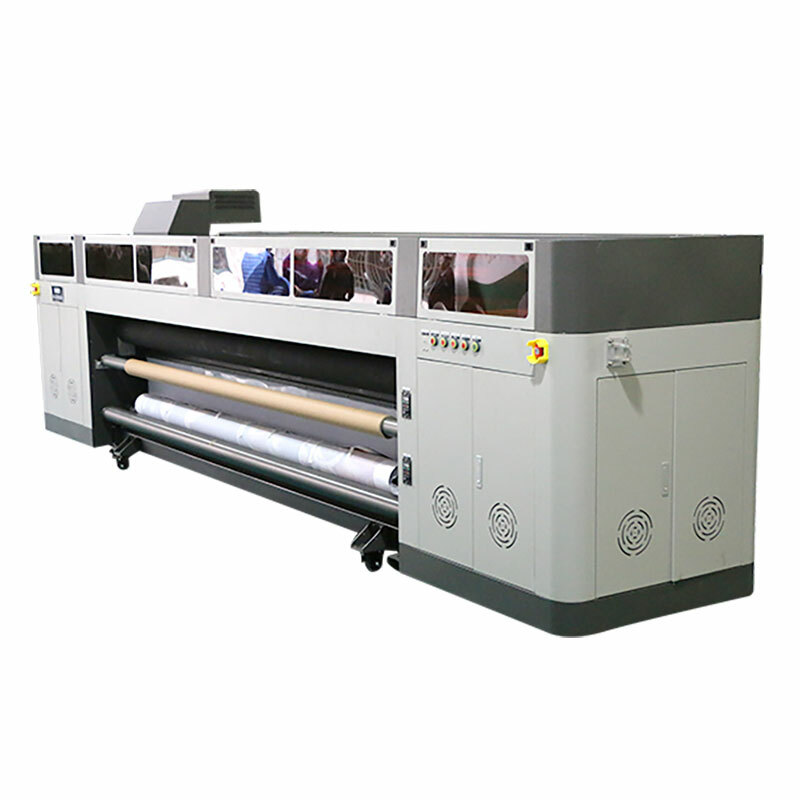 WER-K3200UV super wide format UV-LED printer is a 126-inch roll-to-roll model featuring seven ink colors including white for printing on transparent or colored media. It supports media up to 126 inches wide for oversized graphics and panels. This new model produces vibrant colors with a high degree of opacity and consistent color can be achieved regardless of light source for optimal viewing results in day/night applications. – The combination of white and color inks adds values to transparent media print. – UV-curable inks form thicker ink films compared to other inks, which reduce light transmission through the colored area, even with backlit signage, enabling finishing with vivid coloring. – The new model does not require drying, allowing processing and operation immediately after printing, thereby reducing the total operation time. – High printing speed of 25 m2/h is achieved on banner material in a high-speed mode.